If you have a vision, there are driveway pavers available to help you achieve your goals in Greenville. 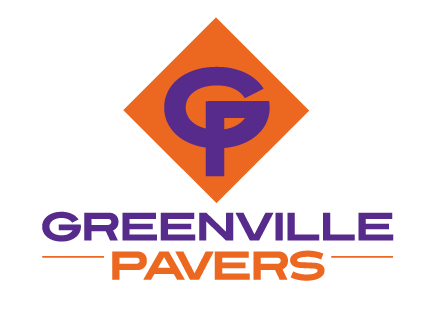 Driveway Pavers in Greenville – At Greenville Pavers, we are committed to assisting our clients in achieving their outdoor living area goals in Greenville, South Carolina. One way we can do this is by designing a driveway that uses pavers rather than traditional concrete or asphalt slabs. In fact, driveway pavers offer homeowners a unique feature that is strong enough for the weather and welcoming for family members and guests all year long. Durable – Not only are driveway pavers strong enough to handle vehicle usage, but they are also designed to last for years without the need for repairs or replacement. Maintenance & Replacement – Driveway pavers are the perfect addition because of their low-maintenance needs. Additionally, should you ever need to replace a paver, you can simply remove it and install a new one without major concern. Patterns & Colors – If you have a vision, there are driveway pavers available to help you achieve your goals. With a variety of patterns and colors available, you won’t be disappointed with the results when installation is complete. Installation – While the process may seem time-consuming, in reality, our team at Greenville Pavers can design and install your driveway pavers in a matter of days. This makes your choice for your outdoor space convenient and attractive in a short period of time. If you have questions about the use of driveway pavers, or if you would like to work with us on design and installation at your home, contact us today to learn more. We look forward to working with you.